You can’t deny that when it comes to making creamy and smooth sauces and smoothies, you need the best blender possible. This is the only way to enjoy chunk-free drinks and foods. Of course, it’s only once you have commenced on your blender buying journey that you will realize there is a lot more to this than you initially thought. After all, there are so many brands, models, and buzzwords being thrown around. If all of this makes you want to just get the first one that you come across, stop right there because we have a solution for you. In this article, you will find all that you need to know about blenders including what our top picks for the best ones are. One of the top reasons to pick this blender is because it is a total workhorse. So, if you want a blender that you can really invest in, this is the best blender for you. You can easily use this model for several years and not have any problems with it at all. This is largely due to the cooling fan in the base. This ensures that even if you make drink after drink (or meal after meal) with this blender, it isn’t going to burn out. This also ensures that you are able to put a wide variety of tough ingredients like ice, frozen fruits, and veggies in and still have them blended thoroughly. So, as you can see, this is a really great blender for the whole family. The 64-ounce container means that there is plenty of room to make large batches. One aspect that can be seen as either good or bad, depending on your perspective, is the features. They are simplistic and it doesn’t take much know-how to work them. Of course, this also means that you have to do without a lot of additional options. Now, the 5200 does come with its own tamper and there is a good chance that you are going to need it for many of your shakes or smoothies. The tamper works to push the ingredients down to blade level and pulverize them faster. Of course, it can be a bit annoying to have to continuously use this tool. It should also be noted that this is a rather noisy blender as well. This is the kind of blender that would work for a gourmet or avid cook. Why? Well, for one thing, there is very little that this blender can’t blend. Ice, nuts, and grains can quickly and easily be reduced to paste or dust within minutes. So, if you are a big fan of making things from scratch, this is the blender for you. You should be aware though, that with this kind of power you can expect a great deal of noise. Another noteworthy thing about this Blendtec model is that all the preset programs are available to you. Shown as images, you can choose from mixing batters to making drinks to crushing frozen foods. There is also a sensor surface that allows you to change the speed of the blender with a touch of the panel. While all of this does make the Blendtec more versatile, it also means that there is a greater learning curve involved. This is especially because the settings aren’t all that intuitive and you are bound to make a few mistakes in the beginning. It isn’t difficult to take notice of the Blendtec’s jar design with its large, square shape. One of the perks of this is that it is a lot easier to measure ingredients in the container. At the same time, the solid design also ensures that the container sits neatly and tightly atop the base, not budging at all. This Waring is a commercial blender which should tell you a lot about the kind of power that it is capable of. While this brand may not be as well-known as some of the others, it easily matches them in blending power. In fact, one of the things that this model is particularly good at is reducing solid ice into chips within seconds. Of course, the downside here is that you have to contend with quite a bit of noise while it is doing this. 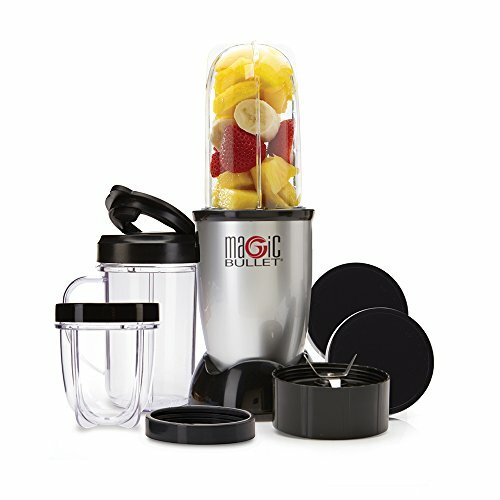 This is certainly a great model for a family as the 64-ounce container lets you make large batches of smoothies or sauces. 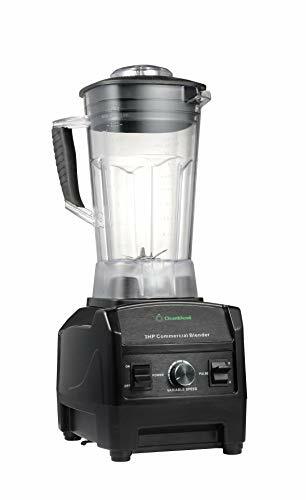 The capacity lines on the jar are also incredibly useful as you can tell – quite precisely – just how much is going into the blender and how much you are getting out of it. There are just two switches on this blender. One is for the pulse feature while the other lets you decide between high, low, and off. On the one hand, this means that you are going to be able to figure out how to work this model instantly. At the same time, there aren’t many options for you to choose from either. This can be tricky if you want to get a bit creative with your drinks or food. If you are looking for a blender that offers up a considerable amount of power but won’t break the bank, then this is the one for you. It’s a really great blender if you want to whip up smoothies and sauces or even crush ice rather quickly. If you want to blend nuts or similarly hardy foods, then you may need to use the tamper that comes along with this blender. Now, the good news is while you are able to get a lot of power from this blender, you don’t have to deal with as much loud noise as other models. At the same time, you will have to contend with some serious vibrations as the blender is working. So, it is a good idea to hold onto the container while the appliance is working. The other positive thing about this model is that it offers just the right number of settings without creating a system that is too difficult to understand. The base has the power switch, pulse settings, and the variable speed settings. It isn’t entirely clear just how long this blender will last you. While it is made from high-quality materials, it may not have as long a lifespan as some of the more expensive brands. If you are the kind of cook that likes to grind and blend most kinds of food, you will find that this blender is right up your alley. Whether you are trying to blend fruits and veggies for smoothies or nuts for butters, this blender can do it all. What’s more, it won’t even seem like it is making all that much effort. As far as the settings go, this blender really hits the mark. This is because the switches and dial are placed well, making the blender intuitive to use. In case you don’t want to use the speed settings, you can simply turn to the pre-programmed options available to you on the same dial. Now, at lower speeds, this blender doesn’t make too much noise but it does get louder the faster it goes. There is also an issue of an odd odor appearing every time that the blender works at very high speeds or has to blend for a long period of time. Now, this container does have a more square-like design which works well in terms of stability. Since it is well-balanced, you don’t really have to hold onto it even when it has been filled to the brim. This is actually a good blender if you tend to feed crowds as it has a large capacity – up to 64 ounces. The handle is also sturdily and comfortably built. If you want a blender that is compact but still powerful, then the Magic Bullet appliance is for you. Despite its small shape, this blender is also equipped to handle all types and kinds of foods. This, along with the fact that it comes with a number of accessories means that this blender is perfect for on-the-go smoothies. It is easy to use and just requires you to press down on the container until your drink has been blended to the perfect consistency. It is a great personal blender. 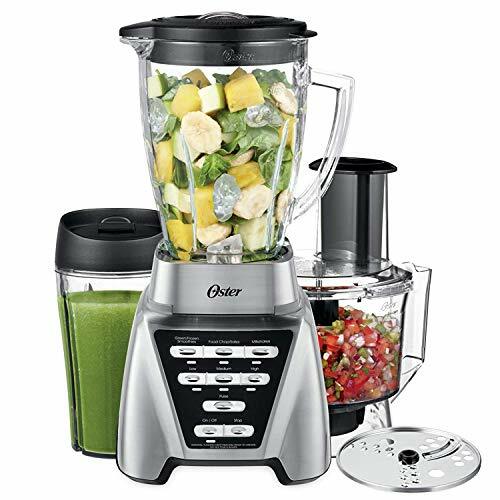 If you are looking for power, you are going to be hard-pressed to find a blender that provides more than this Oster. With 1200 watts at its beck and call, this blender is more than capable of handling any dish that you want to make. The downside is that it can get quite noisy while it is in use. The easy-to-use features mean that with just a push of a button, you can choose from a variety of speed and blending settings. Now that you know which blenders will work best for you, let’s take a look at the features and various other elements that make a blender truly great. If you are looking for blenders to use in your home, then there are essentially three types that you can choose from. These are smoothie blenders, personal blenders, and commercial blenders. As the name suggests, these blenders are typically used for smoothies. This means that while they are powerful to blend together frozen fruits and maybe even ice, this is about all that such an appliance can manage. They often have mid-sized containers or jugs. 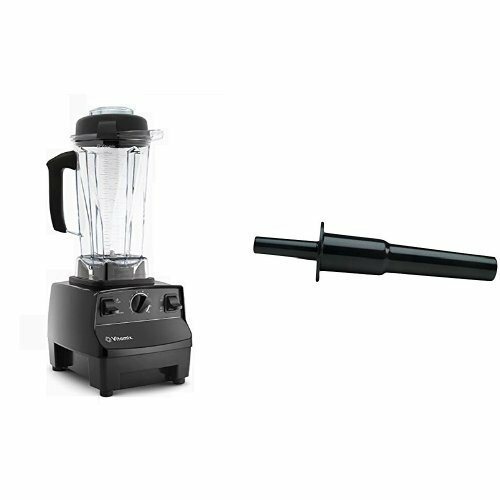 With personal blenders, there is some variation in size. However, they typically have just enough capacity to make two or three drinks, at the most. In some instances, the container actually doubles as a cup or carrier. Now, the main advantage with such a blender is that it doesn’t take up much space and it can quickly fix up a drink. At the same time, they aren’t all that powerful. These blenders are large and are used for a variety of activities in the kitchen. In addition to blending, commercial blenders will also allow you to grind, puree, and chop. Nonetheless, they are quite large and tend to be rather expensive as well. You don’t need to be told that power is quite important when choosing your blender. This, together with the blade construction, is what will determine the type of foods that your appliance can crush and grind. The trick here, though, is to find out just how much power you are actually getting with any given blender. It should come as no surprise that manufacturers are always looking to outdo one another, boasting about the kind of horsepower that their blender can offer. Now, most commercial blenders will be labeled as having 2 – 3 horsepower. However, this number alone doesn’t tell the whole story. Well, in this case, you need to understand the difference between peak power and running power. Peak horsepower refers to the power that the blender starts off with. This is the highest that the blender can go and this power is used to start the blending process. This is what manufacturers will quote when they talk about horsepower. However, this is not sustainable, which is why shortly after the blender has started working, the power will drop. This is the running power and it is what is most important. To quickly and simply separate fact from fiction, you should look at the watts instead. These are more reliable statistics to follow. Blender Containers – Glass or Plastic? The next thing that you will need to look at are the materials that the blender container or jar is made from. For home use, you typically have to choose between glass and plastic. The choice you make is largely based on preference. Glass containers are great because they don’t absorb any odors. So once they are rinsed out, you can use the same container to make a completely different dish or drink. Since they are so strong, glass containers do hold up well when blending tougher ingredients like nuts or ice. On the downside, these containers can be incredibly heavy, which can make them difficult to carry. Perhaps what is most frustrating about glass jars, though, is that they aren’t very durable. If you happen to accidentally drop one, it will either crack or break. Plastic jars, on the other hand, don’t have this issue. Particularly the ones used in higher-end models are very strong and resistant to cracks or breaks. Then there are the shapes of the jars. There are some that are funnel-shaped – wider on the top than they are on the bottom. The square-shaped jars tend to have similar dimensions throughout. Each of these has their own pros and cons which is why, in the end, you will need to make up your mind on what you prefer. With the round or funnel-shaped blenders, the benefit is that you can blend small amounts. The narrower base ensures that the blades will be able to chop a smaller number of ingredients. This design also has a tendency to continuously move the ingredients towards the blades. This ensures that the ingredients are mixed thoroughly and more quickly. The square containers are great because they are more stable during the blending process. They are also shorter which makes it easier to fit them in pantry cupboards. You may find that these blenders are quite simpler to clean out as well. 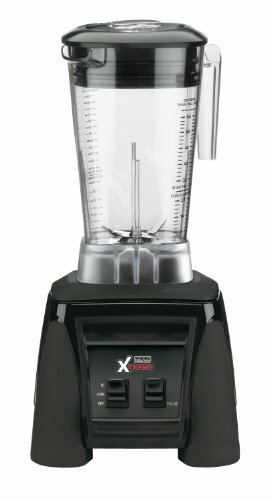 One of the features that every blender has is variable speeds. What is different between the various models, though, is how much options you get. 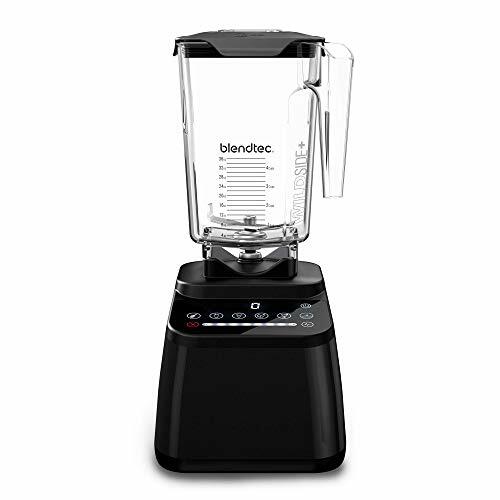 With some blenders, you simply get to choose between low, medium, and high speeds. In others, the speed goes up gradually, sometimes accompanied by numbers. Now, which one is right for you depends on how much precision you require when blending. If you want a great deal of control, then you should look for more speed options. The thing to keep in mind here, though, is that you should definitely invest in a high-speed blender. These are models that offer up some of the highest speeds on the market. The benefit of this is that you will be able to blend practically anything you need. This includes ice, nuts, and any tough or stringy food. Easy to Clean: one of the most frustrating things about using a blender is trying to wash all the food or drink residue in it. So, you should look for a model that allows you to get rid of all of this gunk quickly and efficiently. Pre-programmed settings: if you can’t be bothered experimenting with various speeds, then you need pre-programmed options. With just a touch of a button, you will be able to grind or puree your food exactly as you want to. Container Size: you need to find a container size that is suitable for you. So, if it is just one or two people in the house, then a smaller capacity is warranted. On the other hand, if you have a whole family to feed, look for the larger carafes – up to 64 ounces. Noise: can you afford to wake up everybody in your house or the neighborhood? If not, you should look for quieter models. Of course, this might mean that you need to compromise on power. So, to wind things up, just remember that when choosing your blender you should look at power, the blender container, and the variable speed settings. If you are looking for a reliable blender that will not break the bank, then the Cleanblend model is for you. Of course, if it is power that you are after, then the Vitamix 5200 blender is best. For a more modern take on a blender, the Blendtec model will provide for all of your high-tech needs. 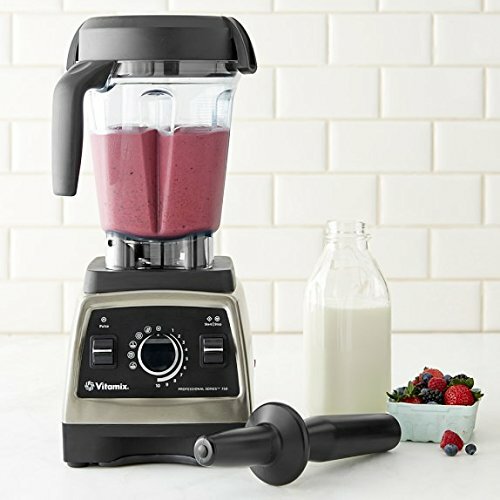 On the other hand, the Vitamix Pro Series 750 is a tried and true workhorse. By considering all these factors, you will find it a great deal easier to find a make and model that is just right for you.